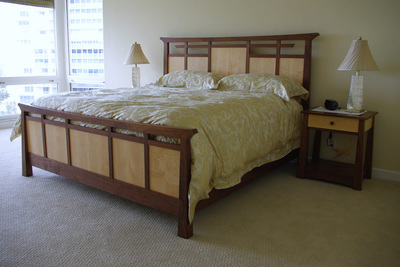 This bedroom suite was custom designed by me from the ground up with my clients. 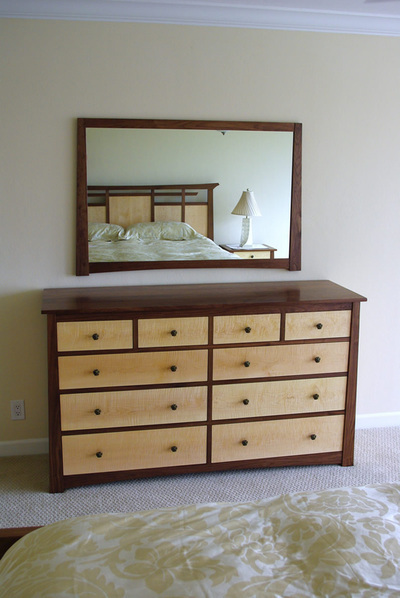 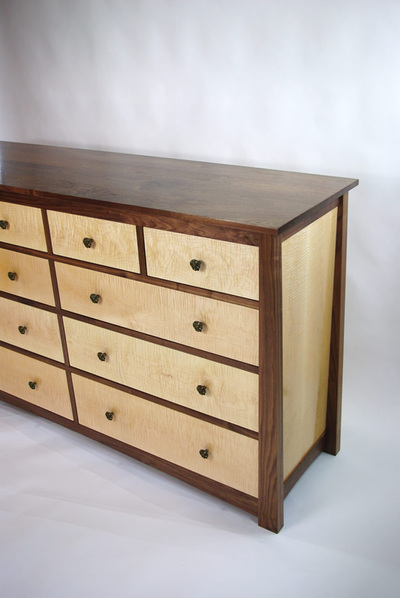 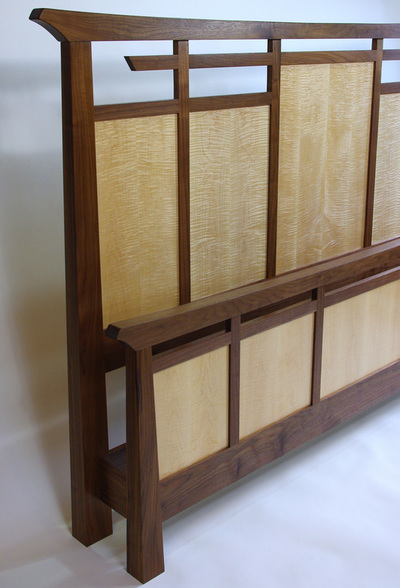 The original inspiration for this furniture was my Purple heart, Curly Maple and Cherry bed. 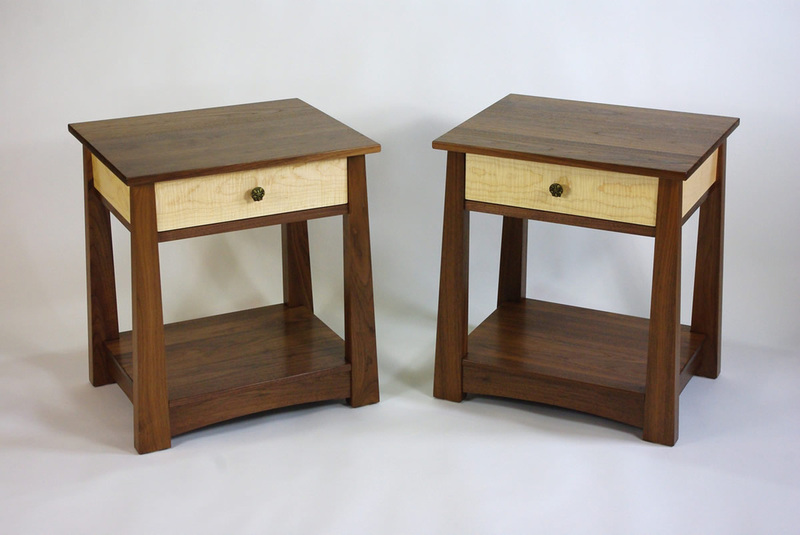 All of the pieces are built with some very nice solid black walnut and incredibly figured solid curly maple. 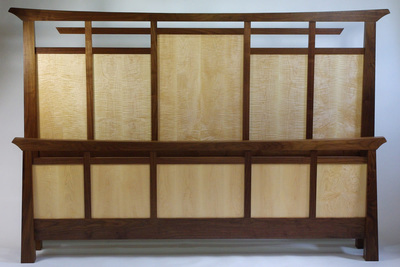 The king sized bed features book matched curly maple panels. The end panels on the dresser are book matched solid curly maple as well. The secondary wood is solid poplar.